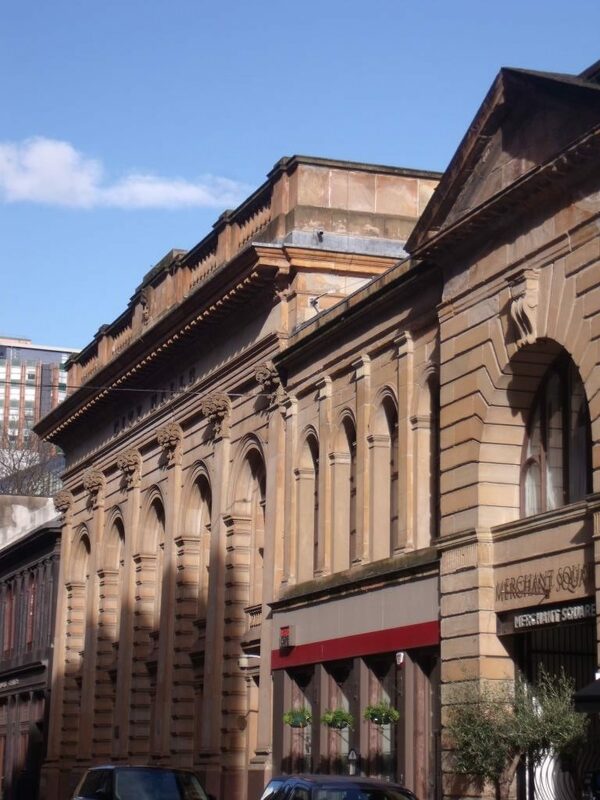 From 1962 to 1990 it was the prime venue for the Royal Scottish National Orchestra and, since 2006, the City Halls have been home to the BBC Scottish Symphony Orchestra and the Scottish Music Centre. It is also regularly used by the Scottish Chamber Orchestra, the Scottish Ensemble, and many other promoters. A major refurbishment of the Halls in 2006 revealed a hidden space, which was converted to a small Recital Room, seating around 100, and provided with a fine full-size Steinway grand piano. Its modern, airy design, combined with its intimate size, create an appealing sense of directness and immediacy between performers and audience, ideal for solo, duo or small-scale chamber music-making. 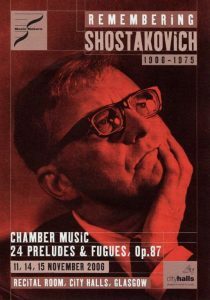 It was, thus, an appropriate choice for Music-Makers’ mini-series in 2006 marking the birthday centenary of Dmitri Shostakovich (1906-1975). Comprising three concerts, the opening concert presented works for strings and piano, including the second Piano Trio, as well as ‘7 Romances on Poems by Alexander Blok’ sung by the outstanding mezzo-soprano, Jane Irwin. 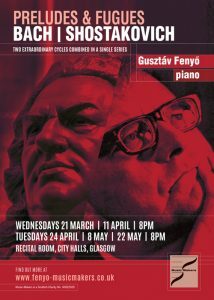 The remaining two concerts, given by pianist Gusztáv Fenyő, were dedicated to what is believed to be the first complete performance in Glasgow of Shostakovich’s 24 Preludes & Fugues. Although clearly influenced by J.S. Bach’s ‘The Well-Tempered Clavier’, a collection of two books of preludes and fugues in all 24 major and minor keys, the immediate stimulus for Shostakovich came from his visit to Leipzig in 1950 for the bi-centenary Bach celebrations, where he was impressed by the playing of a Bach Prelude & Fugue by the young Russian pianist, Tatyana Nikolayeva. The cycle, composed between October 1950 and February 1951, was dedicated to her, and remains one of the great masterpieces for piano of the twentieth century. In 2018 we returned to the Recital Room for a 5-concert series which imaginatively coupled Shostakovich’s 24 Preludes & Fugues with J.S. Bach’s ‘The Well-Tempered Clavier’ to highlight their connections and the continuing influence of Bach’s music. Full details here.